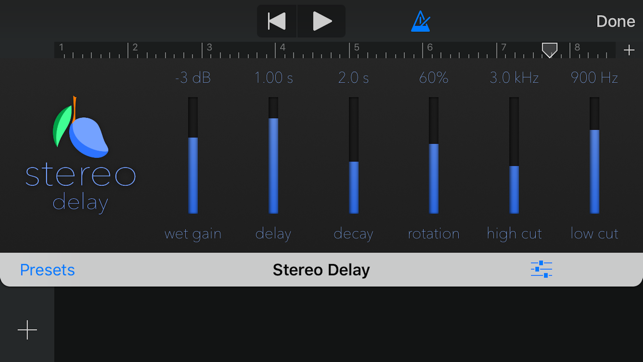 Blue Mangoo Stereo Delay is designed to be the go-to app a for simple, musically tasteful delay effect. 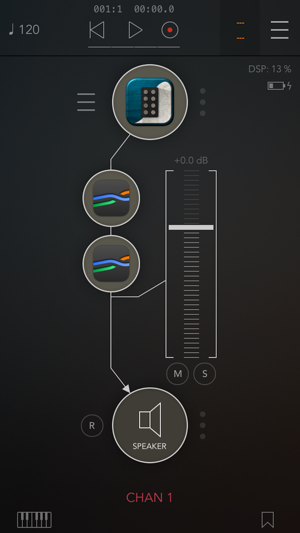 The most unique feature is the way it handles panning of delayed echoes in the stereo field. 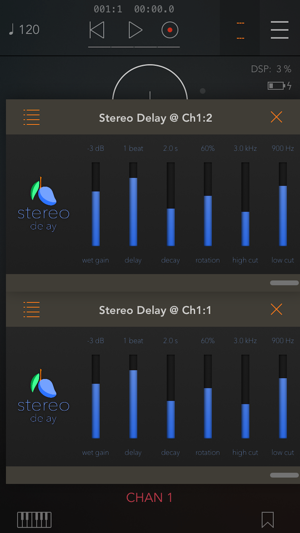 Most stereo delays set different delay times for the left and right channels, resulting in the famous ping-pong effect. The problem with the ping-pong stereo delay sound is that it's too extreme, and our ears quickly tire of hearing the same pattern of left-then-right delay repeated hundreds of times. This plugin does it differently. 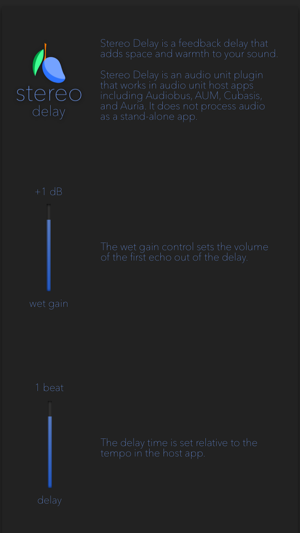 Instead of setting delay taps at different times panned hard left or right, it always keeps the same delay time setting for both the left and right channels, but it has a unique mixing matrix controlling the feedback between the left and right channels so that each time the echo repeats, it appears in a new place in the stereo field. This is different from a simple panning delay, because older echoes and newer ones can simultaneously appear at different positions in the stereo field. The result is a very natural stereo echo that expands the stereo width of the sound but doesn't sound repetitive or electronic. It's constantly moving and changing. The wet signal output has low-cut and hi-cut filters. 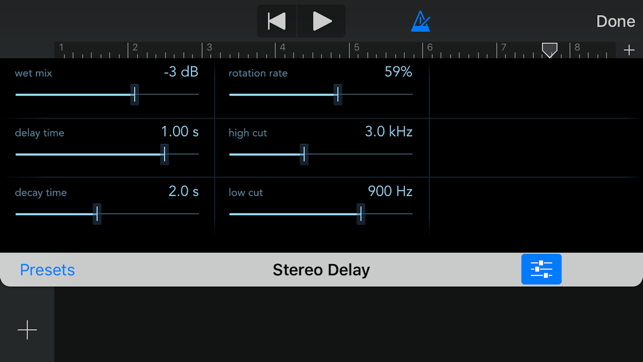 The hi-cut filter tones down the harshness of the delay and makes it sound like natural echoes. The low-cut is especially useful for applying delay without making things sound muddy. At extreme settings the low cut can achieve a lo-fi telephone like delay sound. The dry signal (not shown above) bypasses the entire effect. The key difference between this and other delays is the mixing matrix, which is similar to the ones used in feedback delay network reverb effects to mix between multi-channel delays without changing the volume of the sound. It is the matrix (not the LFO) that creates the illusion that the signal has moved to a different location in the stereo field each time it repeats through the delays. You can’t find a bad setting in this app. No matter what you do, it’s tasteful, simple, and musical, and yet it’s a sound that I don’t get from other delay plugins.